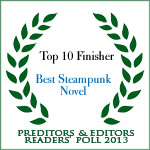 Adventures set in a shared steampunk fantasy universe. A burgeoning city-state in the midst of an industrial revolution makes first contact with the inhabitants of an island floating a mile above it, and both cultures confront one another with miracles and secrets neither could imagine. A collaborative effort among MeiLin Miranda, Joseph Robert Lewis, Katherine Tomlinson and Charlotte E. English. 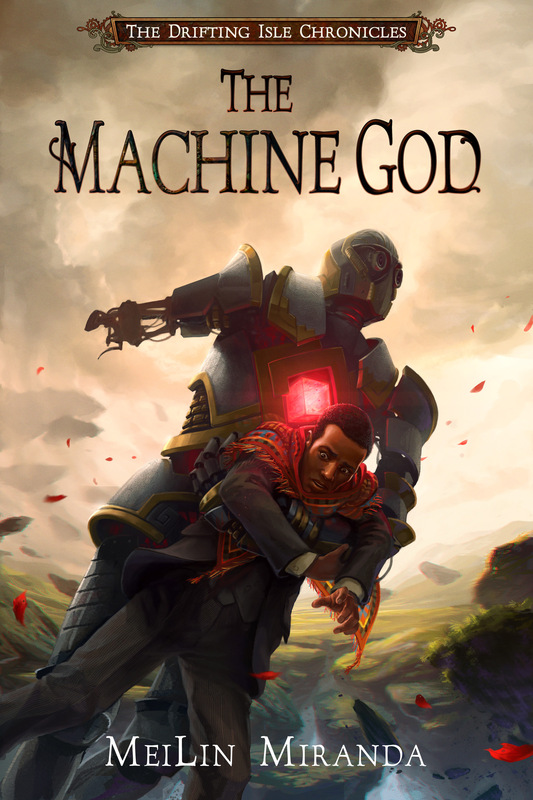 Goodreads overall rating for The Machine God: 4.01 stars over 73 reviews! Folklore Professor Oladel Adewole has lost tenure, and the beloved, much-younger sister he's raised has died; with no reason to stay, he leaves his homeland for the University of Eisenstadt. One thing makes his new life bearable: the mysterious island floating a mile above the city, his all-consuming interest for years. This unique fantasy series was created by an international team of writers who collaborated to create a new shared world full of original and diverse people, places, creatures, and ideas. Perhaps for the first time in history, a team of writers has written and published an entire series of novels all at once! Each author wrote their own book in this new world, telling very different stories about very different people living in one fantastical city during the greatest discovery of the modern age. The writers worked closely to weave their characters and plots carefully together, in order to bring you this unique tapestry of steampunk action and fantasy adventure. Are you a fantasy writer? Would you like to join this exciting, ongoing collaboration project? To learn how you can write and publish your own official Drifting Isle novel, visit the series website.